The constant stream of "project" albums that come from the Frontiers record label certainly divides opinions, but few can dispute the wisdom of pairing Pretty Maids' esteemed vocalist Ronnie Atkins with Erik Mårtensson, the Eclipse, W.E.T., Ammunition (and numerous other projects) vocalist, multi-instrumentalist, writer, producer and all-round Melodic Rock genius. 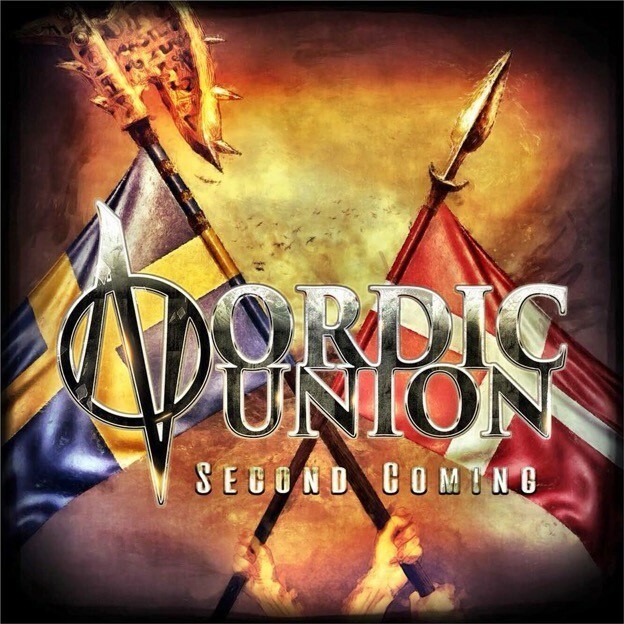 Nordic Union's self-titled debut release was undoubtedly an essential purchase for admirers of the two protagonist's other bands, and indeed Melodic Hard Rock lovers in general, but 'Second Coming' raises the bar – and then some! Still joined by Mårtensson's Eclipse colleague Magnus Ulfstedt on the drum-stool, this time around Atkins has also contributed to the lyrics, his sometimes-scathing outlook and social awareness adding an extra layer of intrigue to proceedings; for instance, the opening line to 'It Burns' is "you choose a bully as a President, the definition of incompetent" and it's squarely aimed at a certain Donald Trump. The other attraction is the musicianship and some of Mårtensson's guitar work (particularly his lead breaks) on this album is quite amazing. Like the debut, 'Second Coming' kicks off with a brooding, dramatic number in the shape of 'My Fear And My Faith', which is then followed by the first single, the rousing, slightly Gothic-tinged 'Because Of Us'; it's a true contender for song of the year. 'Walk Me Through The Fire', 'Breathtaking' and 'Best Thing I Never Had' lean towards the more dramatic side of Mårtensson's writing style, and they all drip with the intoxicating melodies he is renowned for. Elsewhere, the Southern Rock-sounding riff of the brilliant 'Rock's Still Rolling' gives it a modern-day Lynyrd Skynyrd feel, while 'New Life Begins' and 'Die Together' are the album's anthemic, lighter-waving ballads that ooze with pure class. Initially, I thought 'Second Coming' was a somewhat clichéd, overused title for a sophomore release, but the phrase is actually used in the song 'The Final War' so I will forgive them. 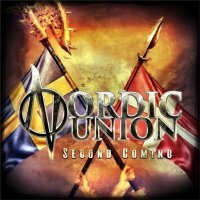 I still believe that Mårtensson saves his best material for Eclipse (and why shouldn't he), but Nordic Union's 'Second Coming' pushes it close, very close indeed. This is, once again, essential!